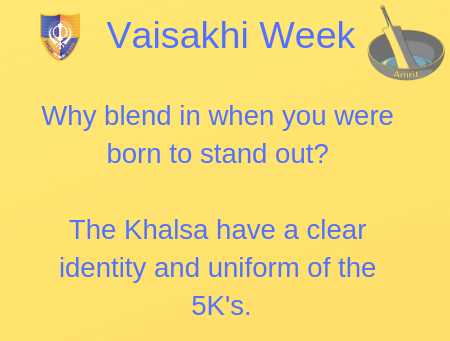 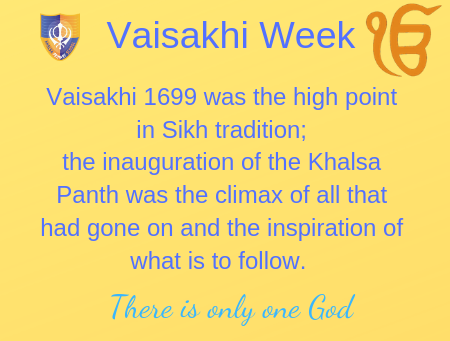 Vaisakhi is a very special time in the Sikh calendar. 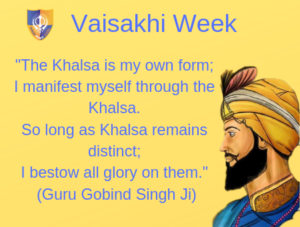 It’s a day to celebrate the 10th Sikh Guru, Guru Gobind Singh’s formation of the Khalsa – a group of people who chose the Sikhi way of life. 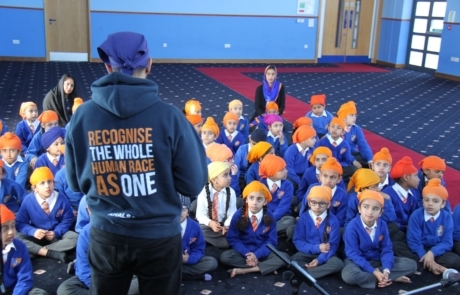 Each year, April 14 marks the date that the Khalsa was first formed all the way back in 1699. 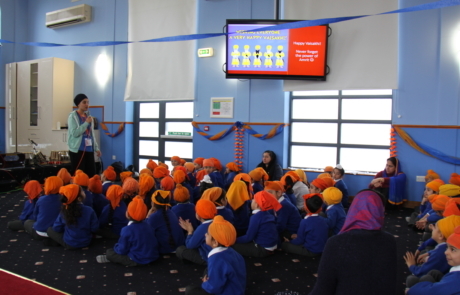 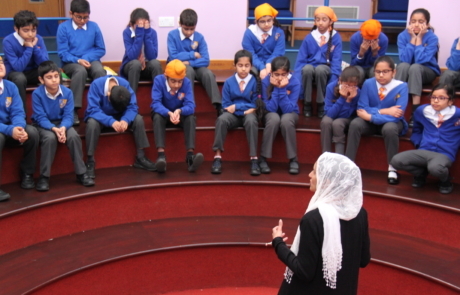 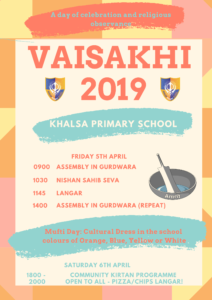 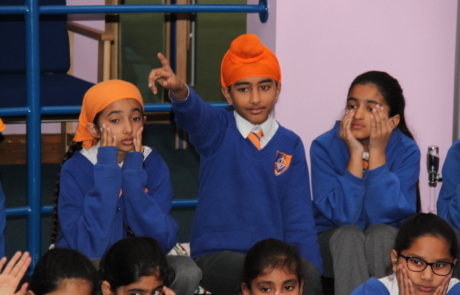 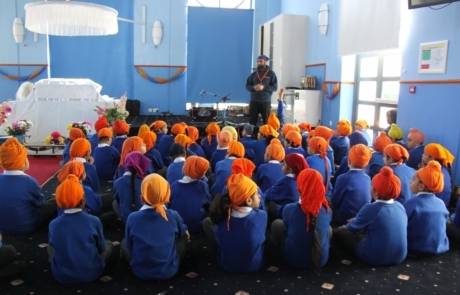 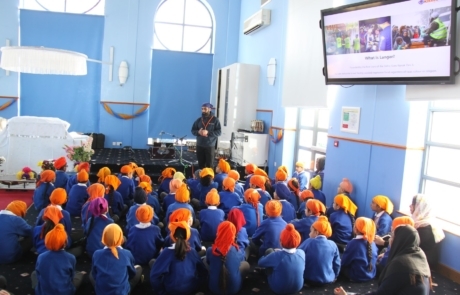 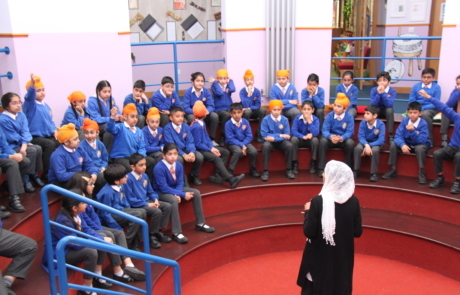 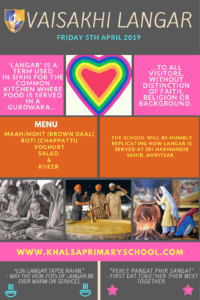 Khalsa Primary School will be marking this occasion with a whole week of learning (From 1st April to 5th April). 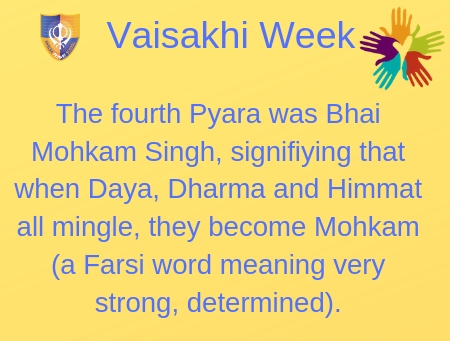 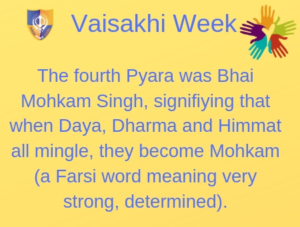 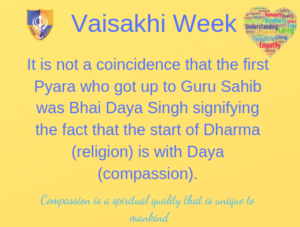 Vaisakhi is sometimes called Baisakhi, Vaishakhi, or Vasakhi. 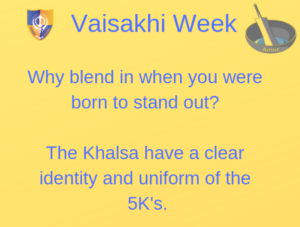 This is simply a regional difference and there is no wrong or right way to spell it. 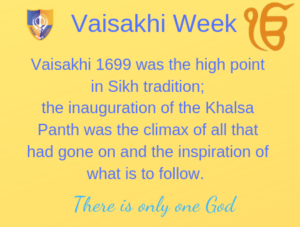 This event is celebrated with great pageantry across the world. 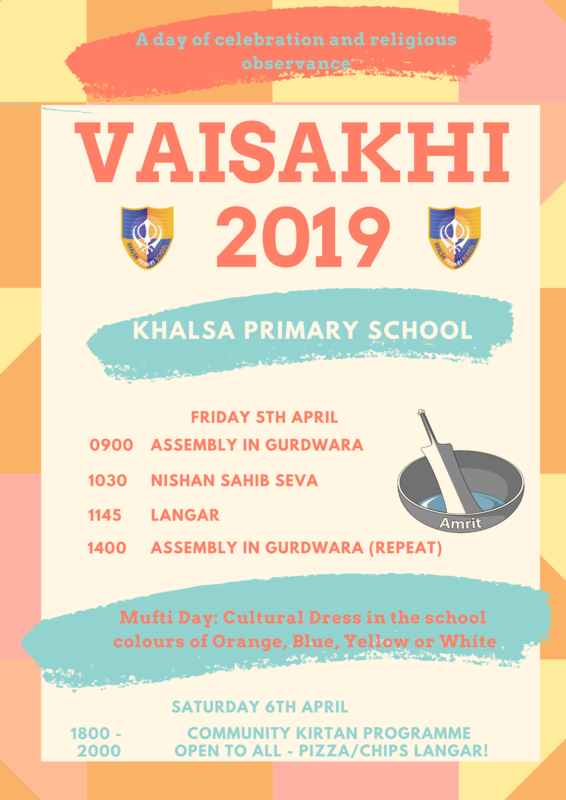 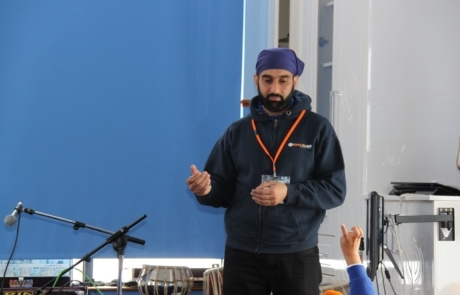 Khalsa Aid were our guests today to start off Vaisakhi Week by coming to talk about Bhai Daya Singh Ji (The First Panj Pyara) and what Daya means. 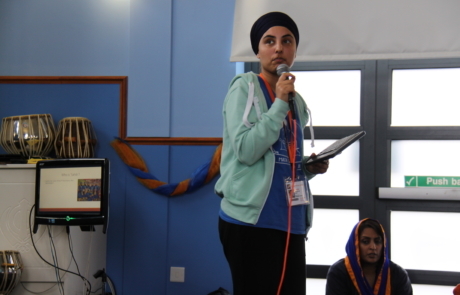 Compassion is enshrined and embedded within Khalsa Aid and all their volunteers through all the humanitarian work they do around the world. 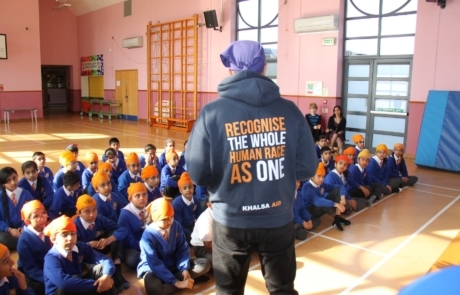 So who better to come and educate and inspire the children to show compassion themselves to their fellow human beings whether at home, school or anywhere else! 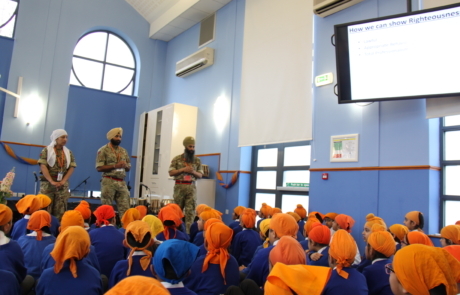 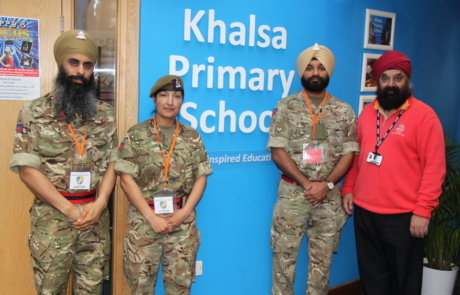 For Day 2 of our Vaisakhi Week, we were blessed to have three special members of the British Armed Forces – Khem Singh, Satnam Singh and Narinder Kaur Dhillon. 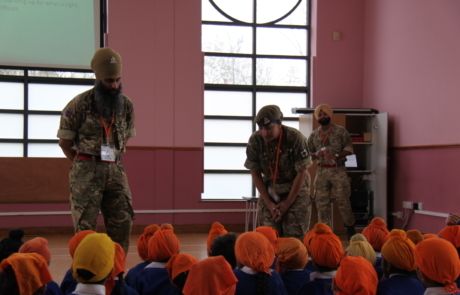 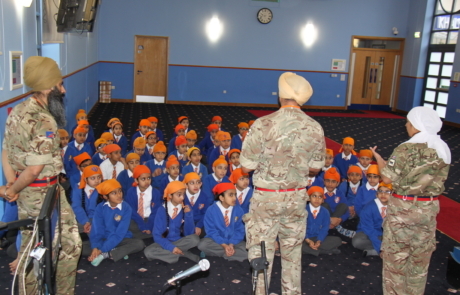 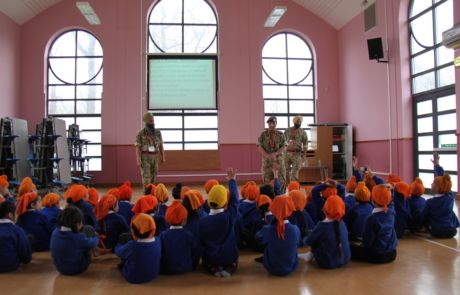 They spoke to the children about the British Army and how important Dharam & Himmat is (Courage and Righteousness). 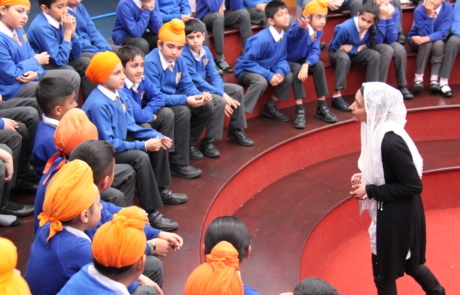 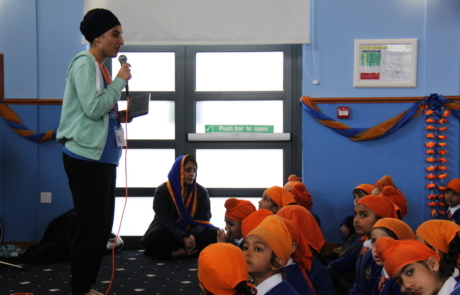 On Day 3 of Vaisakhi Week, we were lucky to have Amandeep Kaur visit the school to speak about Mohkam which is determination. 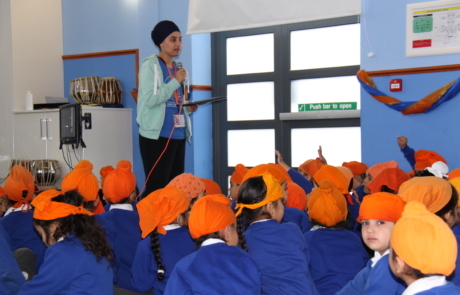 Amandeep and the children shared stories and experiences of determination and how this quality is so important for us all. 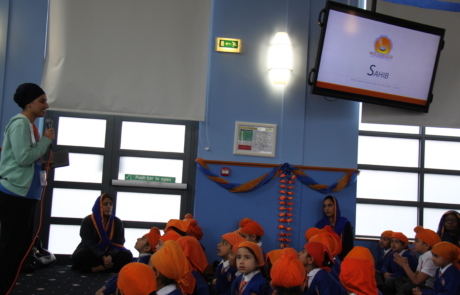 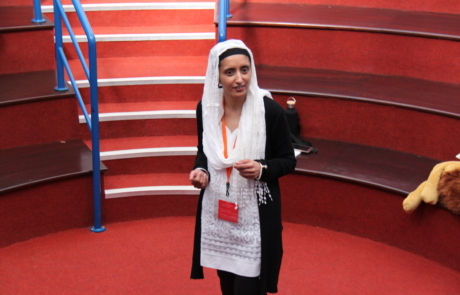 Day 4 of our Vaisakhi Week Sarveen Kaur visited us to speak about Mastery and the upcoming film ‘Motherhood’.